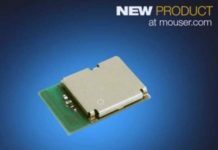 August 13, 2018 – Mouser Electronics, Inc., the authorized global distributor with the newest semiconductors and electronic components, is now stocking the Si3406x Power Over Ethernet Plus (POE+) Powered Device (PD) family from Silicon Labs. Integrating all necessary high-voltage discrete components on a single PD chip, the Si3406x family devices reduce time to market and system cost for a variety of high-efficiency, high-power POE+ PD applications. 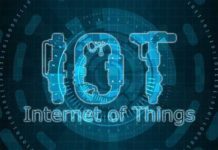 The ICs deliver 30 watts of power to support feature-rich Internet of Things (IoT) products like Voice over IP ( VoIP) devices, motor-positioned IP and security cameras, and other industrial devices. As the demand for high-wattage IoT applications increases, developers must rely on powered devices that support the POE+ standard. The Silicon Labs Si3406x POE+ PD family ICs, available from Mouser Electronics, convert the high voltage supplied over Ethernet copper cabling into a regulated, low-voltage DC supply. The ICs offer a broad array of feature options, including reduced EMI, flexible power conversion options, a robust sleep mode augmented with mode control, wake pin, and LED driver, and full IEEE 802.3at compliance. 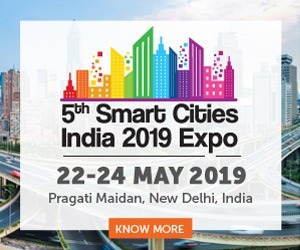 The Si3406x POE+ PD family includes the flagship Si3406 IC as well as the Si34061 variant, which adds support for external FETs and to improve power conversion efficiency, and the Si34062 variant, which includes support for sleep modes with wake function, as well as LED drive capability. The 20-pin Si3406 IC and 24-pin Si34061 and Si34062 are housed in a compact, 5 mm × 5 mm QFN package, and support an operating temperature range of minus 40 to 85 degrees Celsius. 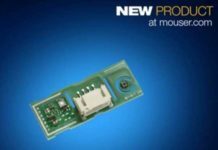 Three evaluation boards, available from Mouser Electronics, support the new devices. The tiny, 32 mm × 32 mm, 7W Class 2 Si3406FBC2-KIT and the compact, 15W Class 3 Si3406FBC3-KIT showcase non-isolated flyback designs, while the 30W, 90-percent efficient Si34061ISOC4-KIT highlights a high-power, isolated flyback using the Si34061. All three evaluation boards are include detailed design guides and EMI test reports. To learn more, visit www.mouser.com/silabs-si3406-poe-pd. For more information, please visit : www.mouser.com.